I recommend that your respective administration push for a new law requiring immigrants to take a polygraph test during any visa, including residency or citizenship application process. It is imperative that we determine which future residents have the genuine intent to pay TAXES, that all visitors have NOBEL and FRIENDLY ATTITUDES toward the United States, and that there be no CRIMINALS or those with CRIMINAL INTENTIONS entering the country. This procedure will establish a more effective baseline for the security and safety of our country. An EXEMPTION to such a polygraph could be sought only by seniors, children or adults with severe health impairments. This general polygraph would be a primary tool for Homeland Security as well for consular officers around the world in detecting and stopping foreigners from practicing terrorism, crime, corruption, human trafficking, money laundering, drug trafficking, as well as various types of visa abuse such as unauthorized work, marrying someone for the sake of a green card, outstaying a visa expiration date or bearing a child in this country merely to obtain citizenship for that newborn -- all of these abuses resulting in serious financial and security threats to American citizens. It is no coincidence that the intelligence agencies, governments, and financial institutions of the so-called first world have, for decades, used this technique to ensure greater security. 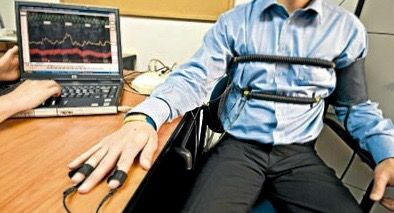 These procedures of using polygraph are apply routinely for American agents or employees who handle intelligence or financial information. Therefore, these tests have been proven useful and would simply be a more secure method for those who seek visas as well. In having a single general polygraph policy there would be no discrimination against any country, culture or religion, and, in return many benefits. Not only would our security increase but the service would be paid for by the visa applicants themselves. Any delay in the length of time for a visa application due to the new polygraph rule would be justified by an immediate reduction in commercial airline terrorism as well as a reduction in crime throughout our country. Security would be underscore as the most vital issue to US national.